Only a few days left until the most important platform for exchange and networking in the Swiss game industry takes place: Ludicious 2019. Keynote speakers this year include headliners such as Robin Hunicke and Anita Sarkeesian. The talk on Thursday 31 January (16:30-17:20) by Anita Sarkessian will address inequality issues in the gaming industry and how to create a more inclusive gaming culture. 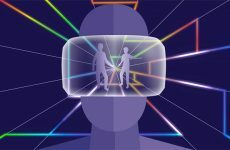 On Friday 1 February (10:00-11:00), Robin Hunicke will talk about the challenges and opportunities encountered by AR, VR and mixed reality emerging technologies. 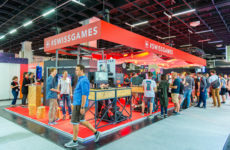 On the same day, from 16:45 to 17:30, the panel «Swissgames 2029, Opportunities and Challenges» will tackle questions about Switzerland’s challenges to develop a sustainable gaming community. The whole conference programme is available here. «What if death isn`t the end, but the key to solve puzzles?» The puzzle game «Persephone», developed by Fribourg-based studio Momo-pi, requires the player to die in order to progress. 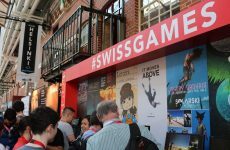 The game is nominated for the Swiss Game Awards. Okomotive’s Don Schmocker and Goran Saric, Stardust’s Tabea Iseli or Alice Ruppert from Zurich-based AirConsole platform are among the conference speakers. «Unrailed» by Indoor Astronaut and Team Kwakwa’s «Soup Raiders» are selected for the Ludicious Business Accelerator programme, during which the teams are trained by leading business coaches and experts from the game industry.